Your verbal score is good. Learn basics and you can use gmat club to practice number of questions. 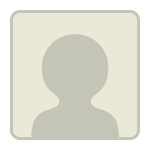 Hello nivikumar93 ... welcome to the community. Below is what I would generally do ( I have mentioned the same to some other new users ). Hope the same works well for you as well. 1. For RC I would use of the link below to make a habbit to do atleast 2 RC each day and going through the discussions therein. **Donot forget to thank workout & SajjadAhmad. 3. Similarly at 600 level I would strive for 80-85% accuracy and then move to 700 level. 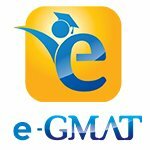 1) How long did you study before taking the GMAT? Have you been studying consistently since you took the GMAT? 2) What study materials have you used so far during all of your studies? 3) How have you scored on EACH of your CATs/mocks during your studies (including the Quant and Verbal Scaled Scores for EACH)? I’m glad you reached out, and I’m happy to help. To answer your question, your goal of a 700+ is realistic as long as you follow a through study plan and a realistic timeline. Thus, since you have plenty of time before your application is due, I recommend that you wait to take your GMAT until you are ready to do so. Regarding how to improve your quant skills, since you have been scoring around a Q16 on your practice exams, it’s clear that you lack the GMAT quant fundamentals you need for a high score, right? Moving forward, you really need to follow a structured and linear study plan that allows you to individually learn each GMAT quant topic, starting with the foundations before moving to more advanced concepts. For example, if you are learning about Number Properties, you should develop as much conceptual knowledge about Number Properties as possible. In other words, your goal will be to completely understand properties of factorials, perfect squares, quadratic patterns, LCM, GCF, units digit patterns, divisibility, and remainders, to name a few concepts. After carefully reviewing the conceptual underpinnings of how to answer Number Properties questions, practice by answering 50 or more questions just from Number Properties. When you do dozens of questions of the same type one after the other, you learn just what it takes to get questions of that type correct consistently. If you aren't getting close to 90 percent of questions of a certain type correct, go back and seek to better understand how that type of question works, and then do more questions of that type until you get to around at least 90 percent accuracy in your training. If you get 100 percent of some sets correct, even better. Number Properties is just one example; follow this process for all quant topics. When you are working on learning to answer questions of a particular type, start off taking your time, and then seek to speed up as you get more comfortable answering questions of that type. As you do such practice, do a thorough analysis of each question that you don't get right. If you got a remainder question wrong, ask yourself why. Did you make a careless mistake? Did you not properly apply the remainder formula? Was there a concept you did not understand in the question? By carefully analyzing your mistakes, you will be able to efficiently address your weaknesses and in turn improve your GMAT quant skills. In order to follow the path described above, you may consider using a self-study course, so take a look at the GMAT Club reviews for the best quant courses. 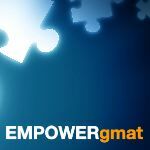 You also may find it helpful to read the following articles about how to increase your GMAT quant score and the phases of preparing for the GMAT. If you have any questions, feel free to reach back out. Good luck! Your verbal score is way better than your Quant score.So, I suggest you improve your Quant score first.Q 16 indicates you are lagging basics.First complete Manhattan Quant PDFs, they will help to build your basics and foundation and then practice on GMAT club and couple that with GMAT club tests.They are really good for improving Quant score. Hope this helps. In case you would like to discuss the strategy to execute the plan, feel free to write to us at support@e-gmat.com referencing this post.